The indicator is based on CCI (Commodity Channel Index) indicator. It lines us all CCI readings across multiple time frames, allowing to spot the moment when all CCIs signals agree on a trend. Red – uptrend, blue – down trend. There are no limits as to what time frame can be used for entries/exits. 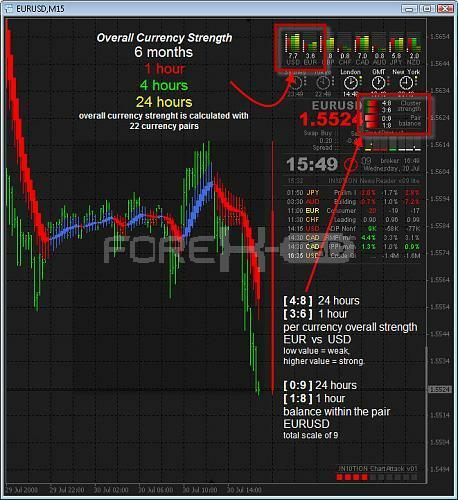 This custom MT4 indicator also allows to choose the time frames to display. 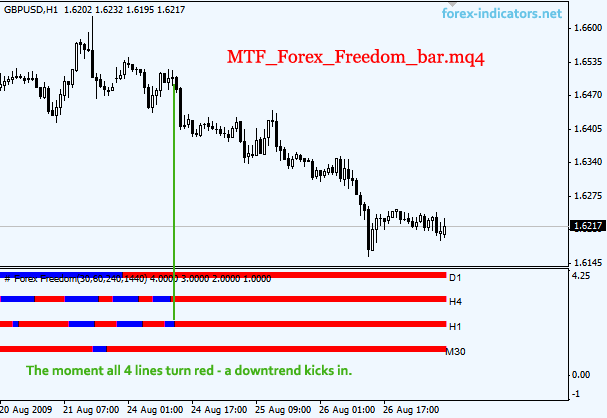 When all 4 time frames turn red – time to sell, expect a strong downtrend; blue – buy, strong uptrend. 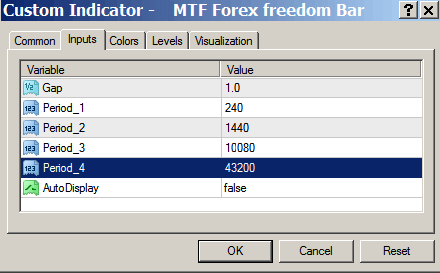 Another use of the Forex Freedom Indicator is to observe and trade on price pullbacks. there is a retracement on 15 min chart, it is a good idea to check out the 15 min price chart and watch for good entry opportunities at the end of the retracement. Have you used this indicator? Any experience to share?